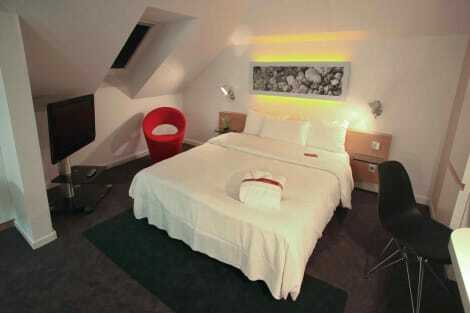 Make yourself at home in one of the 107 air-conditioned rooms featuring kitchenettes with refrigerators and microwaves. 32-inch flat-screen televisions with digital programming provide entertainment, while complimentary wireless Internet access keeps you connected. Conveniences include phones, as well as laptop-compatible safes and desks. 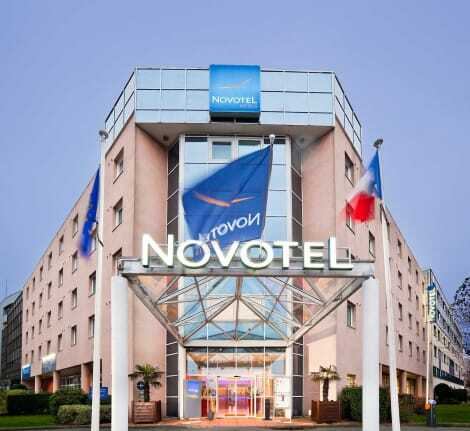 Stay in an urban aquatic setting at the Novotel Nantes Centre Bord de Loire hotel. 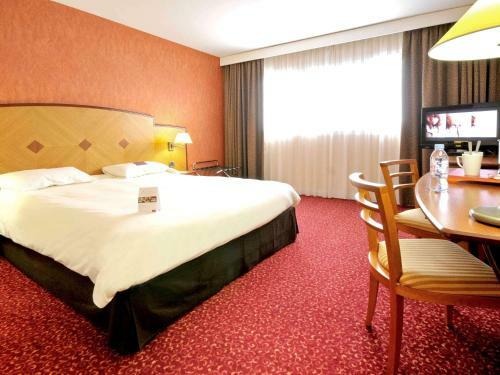 Close to the city center, the hotel's comfortable rooms offer a stunning view over the river. Whether travelling with family or colleagues, enjoy a gourmet break in the contemporary restaurant. During the day, visit the unique works of art at the Machines de l'île, then sample the city's nightlife at the Hangar à Bananes. Drift away on the Nantes current at Novotel. Close to the center of Nantes with direct access to the TGV train station and a shuttle link to Nantes Atlantique Airport, the 4-star Mercure Nantes Centre Gare is ideally located at the crossroads of the Euronantes business district, the Cité des Congrès events center, castle and Machines de L'Île. Want to relax after a day of meetings or sightseeing? The hotel has air-conditioned rooms with modern and relaxing decor. Discover modern and sophisticated cuisine at La Brasserie restaurant. 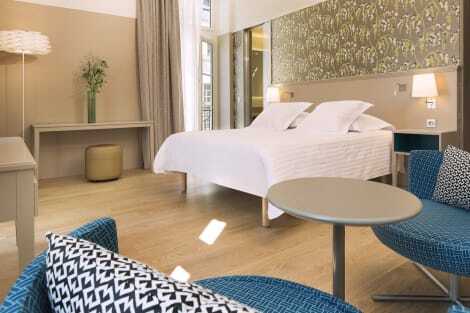 The 4-star Adagio Nantes Centre holiday residence is ideally located in the city center opposite the Ile de Nantes. Fully equipped apartments with kitchens, a fitness center and undercover private car park make this a prime address for business or leisure stays. The old town is easy to reach on foot or by tram and the Château des Ducs de Bretagne is 109 yards (100 m) away. Directly accessible from the north exit of the TGV train station. Take advantage of recreation opportunities including a sauna and a 24-hour fitness center. Additional features at this hotel include complimentary wireless Internet access, gift shops/newsstands, and tour/ticket assistance. With a stay at Oceania Hôtel de France Nantes in Nantes (Nantes Centre), you'll be within a 10-minute drive of Machines of the Isle of Nantes and Cours Cambronne. This 4-star hotel is 4.1 mi (6.6 km) from Atlantis Shopping Centre and 0.3 mi (0.5 km) from Place du Commerce.